The Staffordshire Bull Terrier, also known as an English Staffy, is an English terrier. Breeders originally the English Staffy from the English Bulldog and a number of Old English Terrier breeds resulting in a very muscular, tenacious and loyal animal. With a stocky and strong appearance, a broad head and a wide-set frame, the Staffordshire Terrier was first bred in the 1700s and 1800s for bull and bear baiting until the practice was banned in the UK in the 1830s. The Staffordshire Bull Terrier shares its lineage with the Pit Bull and are breeds that are renowned for both their aggressive and highly loyal characteristics. The Staffordshire or English Staffy is one of Australia’s most popular breeds and when trained properly have proven to have good temperaments making for a very personable companion pet. They are energetic, enthusiastic medium-sized dogs and require a good deal of exercise and human attention. While they have a bad reputation for aggressive behaviour, it is usually down to their owners and how each individual English Staffy puppy or dog has been trained. Unfortunately illegal dog fighting still occurs in Australia as well as other parts of the world and Pit Bulls as well as Staffordshire Bull Terriers are chosen for their strength, tenacity and loyal spirit. Staffordshire Bull Terriers that have been raised in a good environment and have been trained well have largely been very suitable family pets. 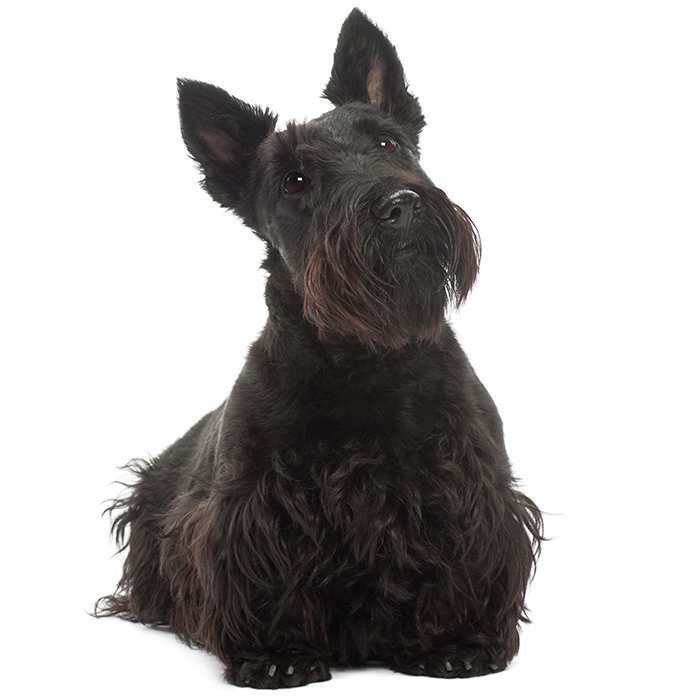 The breed has a notable fondness for children and is especially protective of its family. An enthusiastic Staffordshire Bull Terrier may be too much to handle for young children, however, and it is suggested that kids under eight be closely supervised with the breed. 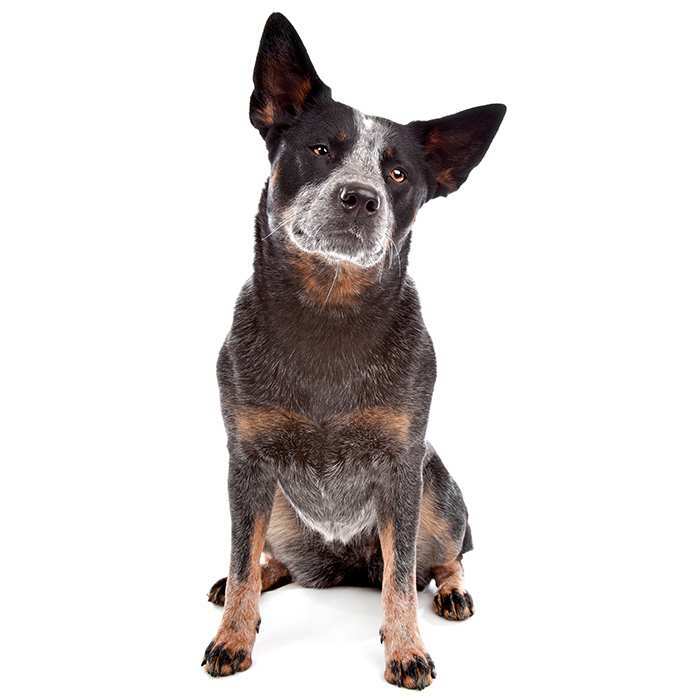 The breed are known for dog-on-dog aggression and can cause problems with other pets in the home. Early socialisation is key, together with firm and consistent training to establish a pack order. Behavioural problems have been known to occur in the breed, mostly in the case that proper training hasn’t been maintained and poor levels of discipline have taken hold. The Staffordshire Bull Terrier is eager to please and needs good, clear direction from a dominant owner at all times. The average Staffordshire Bull Terrier will measure between 35 to 40cm and a healthy dog should weigh between 13 to 17kgs and display various colours as red, white, black or blue. English Staffys live to between 10 and 14 years of age. The Staffordshire Bull Terrier is a very energetic and persistent medium-sized dog—highly inquisitive, eager to please, make contact with humans, extremely loyal and is therefore loved by many Australian families. 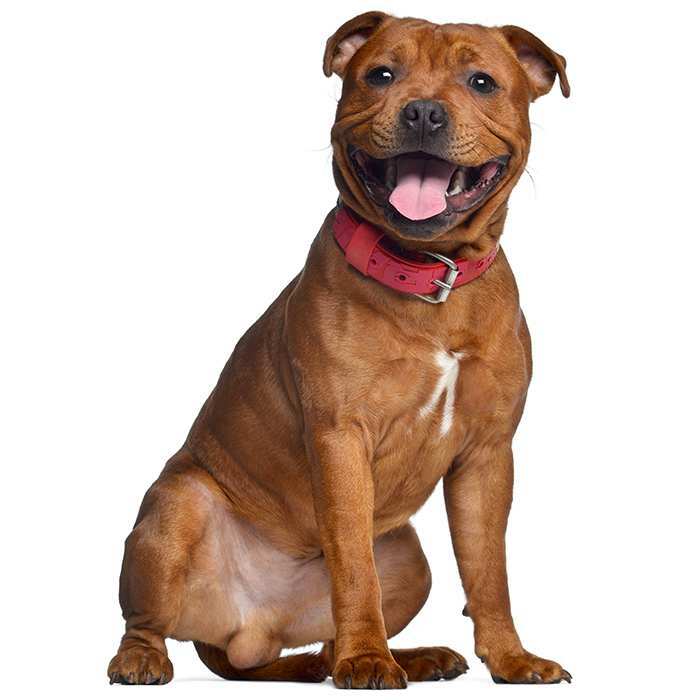 Regardless of their close family links to other terriers like the Pit Bull Terrier and American Staffordshire, the Staffordshire Bull Terrier has a fantastic reputation with children and is commonly referred to as the ‘nanny dog’. While the modern Staffordshire Bull Terrier is a fantastic family pet, it’s important to understand that the breed is notoriously stubborn, highly energised and forceful. For these reasons, the breed has a reputation for being particularly difficult to train, especially for a novice owner. Good, directed training for the English Staffy Puppy from a young age, paired with firm and consistent discipline is essential for maintaining a well behaved and happy adult Staffordshire Bull Terrier. Like many of the hunting dog breeds that are notoriously stubborn and independent, the Staffordshire needs a strong pack leader—someone who is confident but can lay down the law and will when necessary. Small children get along very well with the Staffordshire Bull Terrier, but it is advised that there is close supervision by an adult during play time. The breed has a great reputation for patience, but their eager personality paired with a strong body can often prove overwhelming for kids under the age of eight. Aggression towards other animals and pets in the family home is also common and can be curbed by ensuring the Staffordshire Bull Terrier puppy is socialised. 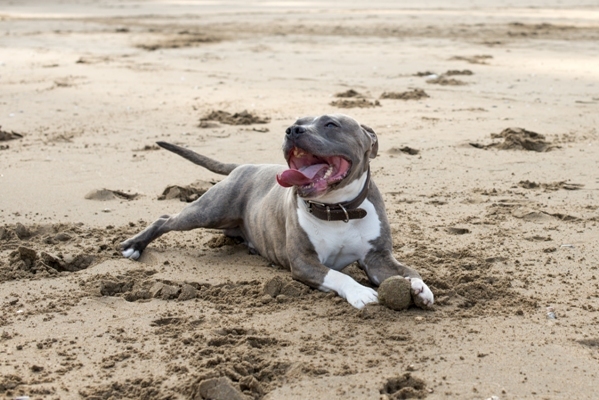 Exercise is an essential part of any Staffordshire Bull Terrier’s routine. A good long walk at least daily is a must, the longer the better. Good exercise is an important way to avoid the development of behavioural problems in the breed. 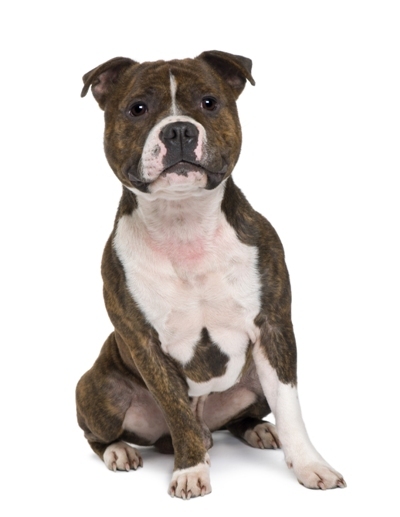 What are the most common health issues for Staffordshire Bull Terriers? Congenital Heart Disease. All forms of congenital heart disease occur in dogs and the Pit Bull is one breed that is susceptible to the condition. Congenital heart disease is genetic and is the malformation of valves in the heart, causing serious problems that will often result in death within the first year of life. Those that have more mild forms of the condition will mostly survive but will show a tendency to avoid exercise, may have stunted growth or will occasionally faint. 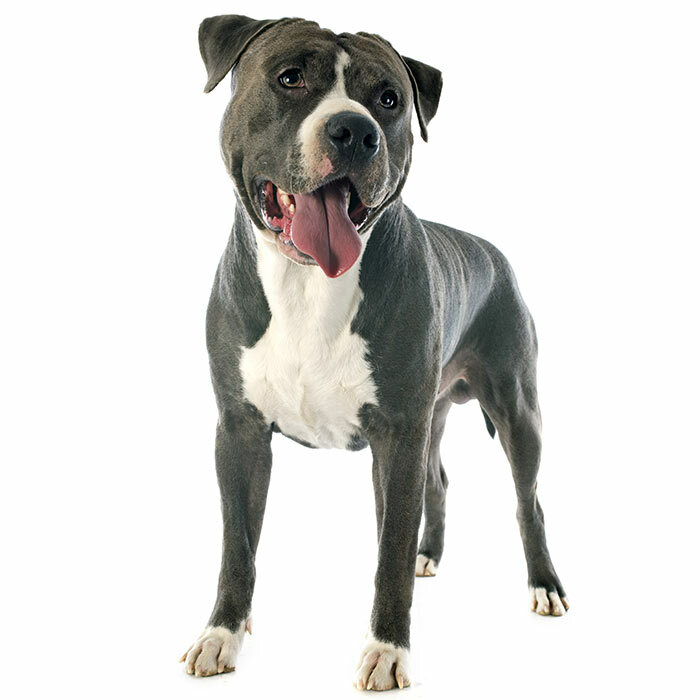 Cardiac arrest can occur at any time, but in most cases later in the Pit Bull’s life. Heart Murmurs. While heart murmurs aren’t diseases, they are common in the Pit Bull and often reflective of congenital heart disease. A murmur is the sound the heart beat makes when an irregular amount of blood enters one of the heart’s chambers. Heart murmurs can be connected to endocardiosis, endocarditis, valvular stenosis or dysplasia. Many detected heart murmurs will not be severe or require any treatment. Contact your vet for a check-up if your Pit Bull is showing low exercise tolerance or faints during exercise. Skin Allergies. Pit Bull Terriers are prone to skin irritations and should be regularly bathed. The Staffordshire Terrier was developed in the 1700s and 1800s in Birmingham and later Staffordshire for the roles of bull baiting, bear baiting and, later, dog fighting. It was believed that slaughtering a bull while its energy was high and blood up would result in more tender meat upon slaughter. Bull baiting was also a popular spectator sport until the early 1800s when the practice was deemed cruel and made illegal. After its use in blood sport began to wane, the Staffordshire Bull Terrier began to be bred as a companion dog and found a new popularity with American settlers and pioneers in the United States. There it was employed in a number of different working dog roles; these included hunting dog, guard dog, companion and fighting dog. The United States Staffordshire is a typically larger type and called the American Staffordshire or Amstaff. Since the early 1900s most of the Staffordshire Bull Terrier breeders have focused largely on eliminating the aggressive nature of the breed. While the steadfast loyalty, high energy and quick wits that are hallmarks of the breed remain, the modern Staffordshire Bull Terrier is a gentle, enthusiastic and friendly family pet. The breed, along with many of the Bull Terrier types, is often referred to as a Pit Bull. This is not accurate as the Pit Bull is not a show breed and has not undergone the careful selective breeding over the past 150 years that the Staffordshire Bull Terrier has. The breed is unfortunately still used in many cases for dog fighting or trained illegally as an attack dog or anti-police dog. Between 1996 and 2006 there were over 70,000 Staffordshire Bull Terrier registrations in Australia, making it one of the country’s most popular dog breeds. The breed wasn’t introduced until relatively late in the animal’s history, entering Australia for the first time in the mid-sixties. Because of animal aggression, Staffordshire Bull Terriers cannot be let off the leash when being walked. They are known for being tolerant of animals that they’ve grown up with, so early socialisation is the key.  While they are great family pets and one of Australia’s most popular breeds, it’s not recommended that first time owners or timid personalities choose a Staffordshire for their pet. Remember, it’s good training paired with firm and consistent discipline that makes for a fine Staffy. Staffordshire Bull Terriers are energetic little dogs and need a great deal of exercise. They are renowned escape artists and great climbers. Fences should be high.